From now on ViArt Helpdesk has its own Chat module. 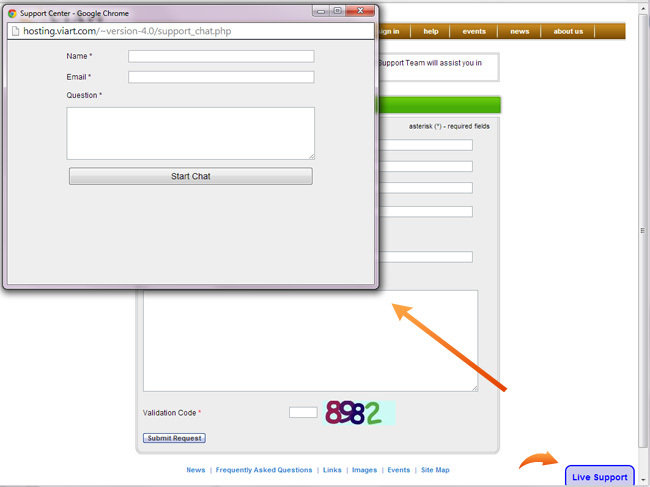 Add Online Chat block on Support page in CMS > Pages Layouts > Helpdesk > New Ticket Page. In admin panel click on the Waiting Chats link in the header. When administrator opens Chats page system sets Chat block as online and shows Start Chatting button for customers. When Chats page is closed Chat is offline. Chats history is kept in Dashboard > Helpdesk > Chats.